BlogHome » Explore · Interviews · Magma Poetry Competitions · News » The Magma Poetry Competition 2015/16 is now open for entries! Magma’s 2015/2016 Poetry Competition is now open and runs until19 January 2015. 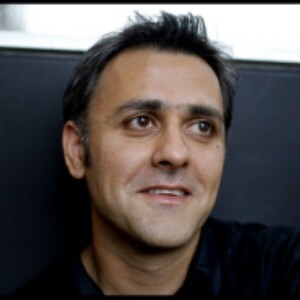 Daljit Nagra is the Judge for the Judge’s Prize for poems of 11 to 50 lines. First prize £1,000, second prize £300 and third prize £150. Magma’s Editors’ Prize is also open over the same period for poems of up to ten lines: First prize £1,000, second prize £300 and 10 special mentions £15. We spoke to Daljit Nagra about becoming the Magma Judge for the Competition to help inspire readers with their competition submissions. What do you look for in a winning competition poem? I look to be surprised by the poem. This means the poem can be in a free or fixed form and it could explore conventional or far-out ideas. In reading the winning poem, I should feel the poet has been on a journey and has been surprised by where they have ended up. The winning poem may be a loud public poem or it may be a quiet tentative poem just so long as it surprises. Is there anything you believe a competition poem should achieve beyond a poem that is in a pamphlet/book or magazine for example? I think a winning poem should show the poet at their very best. The poem could be either typical of their style or a one-off experiment that has given the poet a fresh identity. How do you go about filtering and then selecting a competition poem? I will read every poem once to get a sense of the standard. I will eliminate poems at this first stage that do not feel successful at executing the intentions they have established in the opening lines. I will continually re-read and reduce the number of entrants until I have a shortlist of about 10 poems. I shall read these carefully over a period of days until I am sure of the winning poems. Are there any dos or don’ts in entering a poetry competition? Not really. I’ve had hand-written poems and poems that have been centred, poems with a picture which have all won in previous competitions that I’ve judged. This has surprised me so I tend not to have any firm rules of expectation for myself or the poet. You won the Forward Prize with Look we Have Coming to Dover in 2004. Did you have any expectation of winning? What did it do for your career? I didn’t expect to win but was surprised by the impact of winning. I was written about in broadsheets, invited on to radio stations and asked to give poetry readings. Winning meant I was being taken seriously and was being given a serious platform for my work. I’ve seen similar things happen to important new poets such as Liz Berry and Zaffar Kunial who have both won prizes in competitions for an individual poem and have gone on to great success. What would you say to poets who think there is no chance of getting anywhere in a competition and there is no point in entering? If you’ve tested your poem out by gaining constructive feedback from your peers then one of the next choices for the poem is to be considered in a competition. It is a poet’s duty to support the poem by giving it hope. As a previous judge of poetry competitions, what are the best part and the worst part of the job? The best part is always the pleasure of reading good poems where the artifice engages with the ambitious mood or ideas in the poem. The worst part is waiting to get to the good part which is the shortlist, and the chance to read again and again some inspiring poetry. great quote, really like the sentiment in that.